Dr. Dante Gonzales has been creating beautiful, healthy smiles since 1998. He takes great pride in delivering the highest quality orthodontic treatment available. 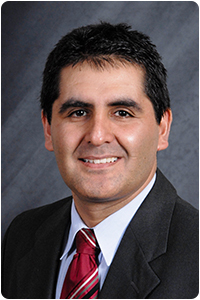 Dr. Gonzales takes an active role in meeting and exceeding the standards of his profession. He has taken the extra steps to become a board certified orthodontist in Dublin and Tracy, CA. (Only 1 in 6 orthodontists is board certified.) In addition, he is a member of the American Association of Orthodontists, as well as other national, state, and local dental associations. In order to stay abreast of the most current developments in dentistry and orthodontics, Dr. Gonzales and his team attend many continuing education courses throughout the year. In addition, he served as an associate clinical professor in the orthodontics department at the University of the Pacific Dental School. 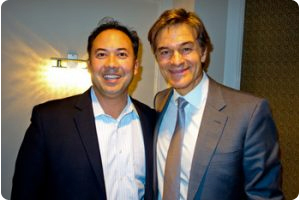 Since 2010, Dr. Gonzales has served on the editorial advisory board of Dr. Oz’s website. Rene Yabar is originally from Peru. He has probably had more formal education in dentistry and orthodontics than just about any orthodontist or dentist in the Bay Area. After practicing general dentistry for 4 years in Lima, Peru, Dr. Yabar went back to school for a residency in Orthodontics. Dr. Yabar practiced orthodontics in private practice in Peru for 5 years. After moving to the United States in 2005, he was admitted to a post-doctoral fellowship in orthodontics at the University of Connecticut. He then went on to complete a residency in TMJ Dysfunction and Oro-Facial Pain at the University of Rochester, New York. From there he went on to a second residency in Orthodontics at the University of Rochester, New York. Dr. Yabar has also completed a mini-residency in Obstructive Sleep Apnea, in addition to working on many research projects in orthodontics. 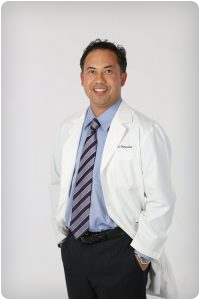 Dr. Rene Yabar is married with two daughters and lives in Pleasanton, CA. In his spare time Dr. Yabar likes to play tennis, read novels, and watch movies. Give Kids A Smile program, and Dr. Rene Yabar has helped at a dental mission in Cusco, Peru. Dr. Yang is an experienced orthodontist who specializes in providing the best orthodontic care for children, teens and adults. She grew up in Fremont and received her dental degree from the University of the Pacific. She then went on to continue her training, earning a specialty degree in orthodontics from the University of Michigan in Ann Arbor. There she studied under the world renowned orthodontist, Dr. James McNamara. 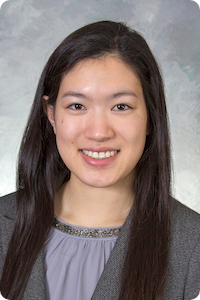 Dr. Yang continues to pursue excellence in orthodontics and is a member of many prestigious orthodontic organizations including the AAO and PCSO.